Page told ABC News he was stunned by the allegations. 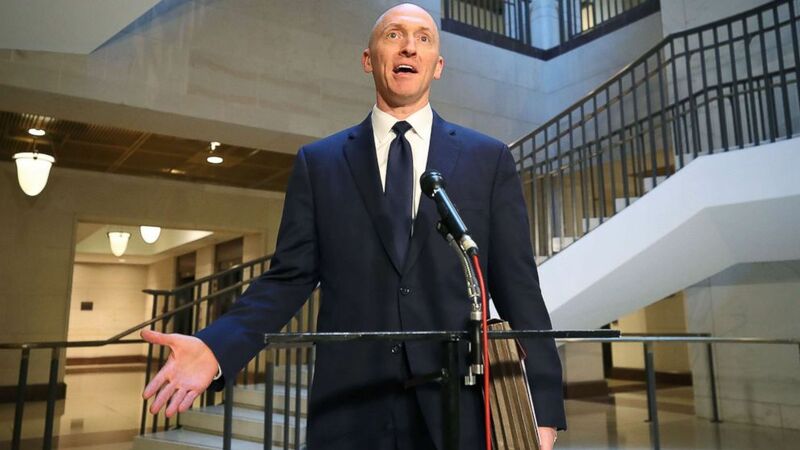 New documents show that one month before the 2016 elections, the FBI sought permission to surveil Carter Page, the one-time foreign policy adviser to the campaign of Donald Trump, because they alleged he had been recruited by the Russian government. “The FBI believes the Russian government’s efforts are being coordinated with Page and perhaps other individuals associated with [Trump’s] campaign,” the application with the Foreign Intelligence Surveillance Court said. (Mark Wilson/Getty Images, FILE) Carter Page, a former foreign policy adviser for the Trump campaign, speaks to the media after testifying before the House Intelligence Committee, Nov. 2, 201,7 in Washington, DC. In more than 400 pages made public Saturday as a result of a Freedom of Information request by media outlets, and first reported by the New York Times, the government laid out its case for secretly monitoring Page in a series of Foreign Intelligence Surveillance Act -- or FISA – warrants, each of which was approved by the FISA court. The documents, which include an application and a warrant for surveillance of Page, were first filed in secret in October 2016, are blacked out in the version that was made public. He stepped away from the campaign a month earlier. (Olivier Douliery-Pool/Getty Images, FILE) President Donald Trump speaks during a cabinet meeting at the White House, July 18, 2018, in Washington, DC. 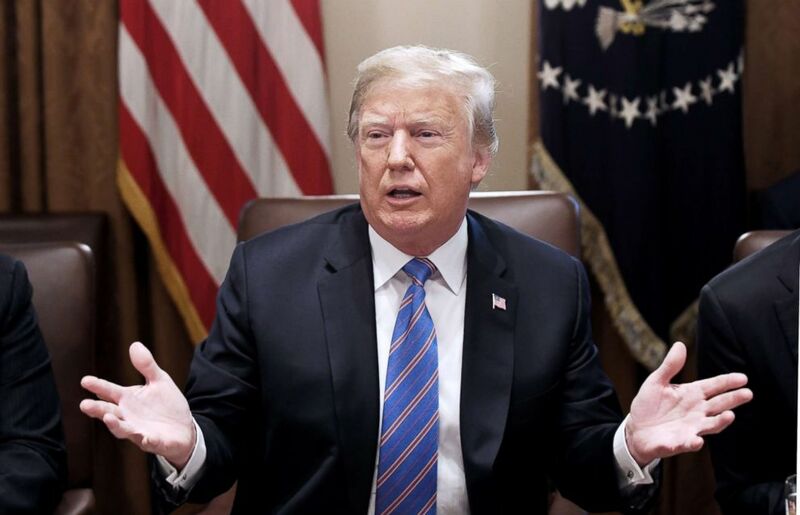 Trump tweeted about the release of the documents early Sunday morning from Bedminster, New Jersey, where he is spending the weekend. He said the release showed "little doubt" the DOJ and FBI "misled the courts." The release of the document comes in the wake of a lengthy partisan disagreement in congress over allegations that the FBI abused its powers when seeking to secretly monitor someone who was once associated with the Trump campaign -- though the campaign later distanced itself from Page. 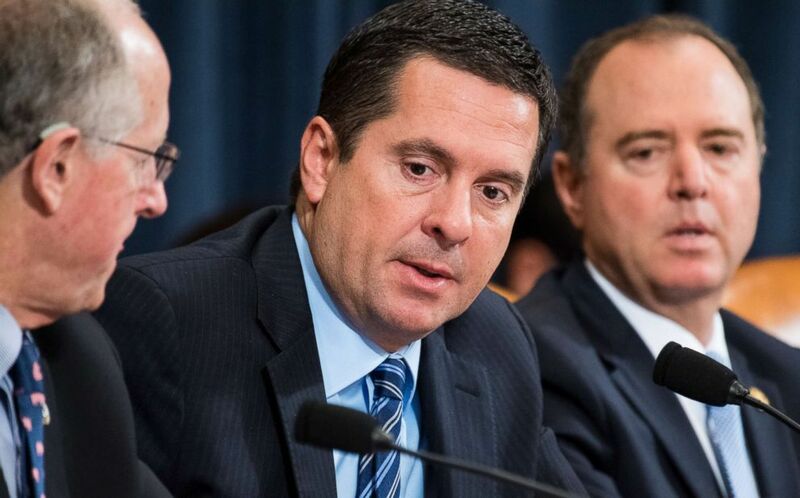 (Bill Clark/CQ Roll Call/Getty Images, FILE) From left, Rep. Mike Conaway, chairman Rep. Devin Nunes, and ranking member Rep. Adam Schiff talk during the House Intelligence Committee hearing on "Chinas Threat to American Government and Private Sector Research and Innovation Leadership," July 19, 2018.